Google has expanded the menu function within Google My Business to cater to businesses other than restaurants. This expansion will allow more businesses to add the services they provide into the menus of their Google My Business profile. Not only will restaurants be able to use the menu function, but the expansion can have businesses from plumbers to florists to health and beauty using the menu feature. 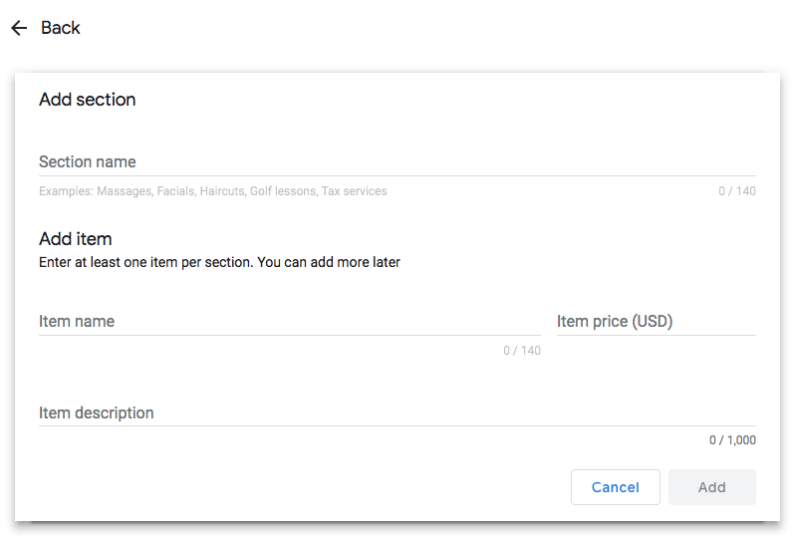 To access this, log in to your Google My Business listing, click on the information tab and select “add or edit items” services icon. A pop-up will appear where you can add your services and the service will appear on your local profile. The feature will only be available if your listing is not currently connected to any third-party provider.